Perfect fit. Quality gloves,powder free gloves. Good price to. These are fine, very useful. I am immunosuppressed so have to be extra careful. 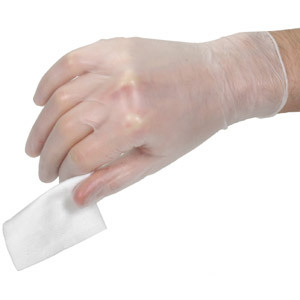 I always use disposable gloves when washing due to the fact I get excema on my hands constantly being in and out of water and soap products. Only comment being I always end up ripping the box as the gloves are packed so very tightly that they are difficult to extract. Fit perfect for my size hands and because they are so cheap I don't worry about how many I use. Needed for medication administration at home. Use the gloves for many household jobs. I am allergic to the powder in most gloves so these tick all the boxes. 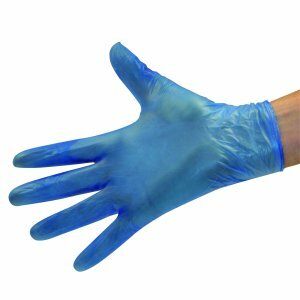 Good quality, well priced disposable gloves. 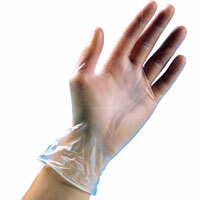 General hand protection for various procedures in manufacturing. Perfect for personal care tasks. Discreet and easy to put on. I use the product to apply tan and I have recommend these to my friends. Just the gloves I was looking for. Good quality gloves, used for my childminding business for nappy changing etc. Just the job for keeping my hands free from grime while cleaning clocks. Use when dealing with incontinence. Used by hair stylist. Would recommend. It is good they are powder free and vinyl because I have some allergies. I use the gloves for everything around the house and the garden.